With distinctive fenders, long front grille (also known as iron-nose truck), this American made Peterbilt 350 was made first in 1949. 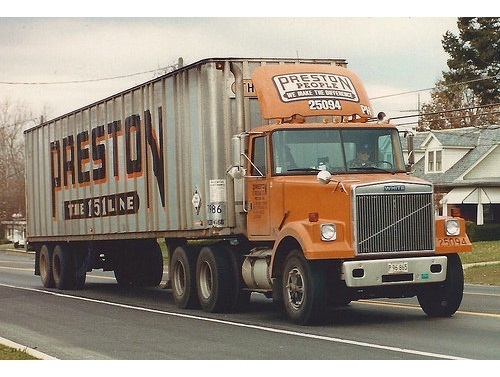 Preston Trucking Co. (now closed) was a large trucking firm that began operations in 1932. 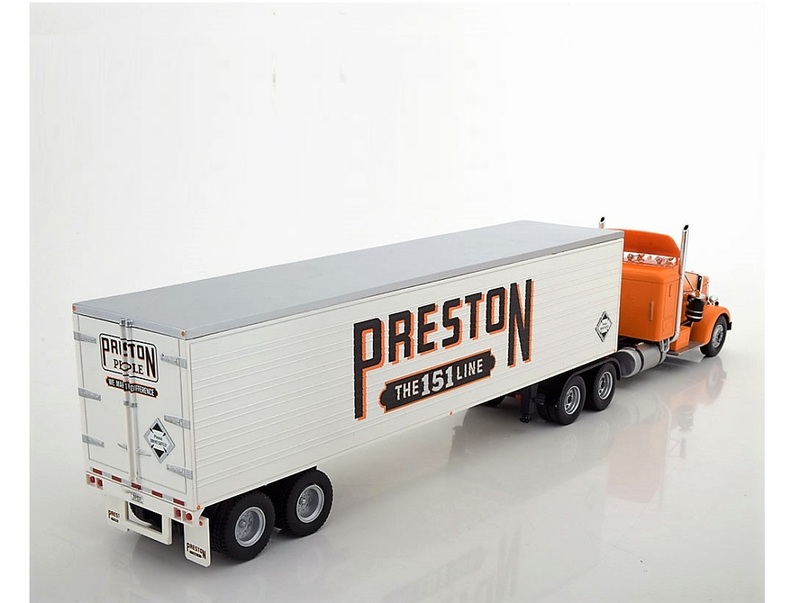 It's brand called 151 Lane was coined after the number of trucks that Preston owned as her original fleet. This detailed metal model is a rendition of one of her trucks from the fleet.